August 2012 – This week I’m visiting Southern Oregon to participate as a judge in their World of Wine Festival. Though most people think of “pinot noir” when asked about Oregon wine, here in the much sunnier and hotter region of Southern Oregon I encountered some big and muscular reds, and was especially impressed with the tempranillo and malbec wines. Southern Oregon (www.sorwa.org) is home to 70 – 80 wineries including virtual wine brands. The area includes the 3 AVA’s of Umqua Valley in the northern region near the town of Roseburg, the Rogue Valley near Medford, and the Applegate Valley south of Jacksonville and Ashland. A newer region to the east of Grant’s Pass is the Illinois Valley, though not yet an AVA. I flew from San Francisco to the small and homey Medford airport, and was pleased to find that I could claim my luggage and get my rental car in less than 20 minutes. Then it only took an additional 15 minutes to drive to the small and historic town of Jacksonville where I was staying. Jacksonville was a gold rush town established in 1851 and at one time boasted 7 saloons. Today it is perfectly preserved with charming Victorian houses, colorful gardens, unique shops, and great restaurants. My first stop was the Jacksonville Inn where I checked in to stay at the Presidential Cottage, a luxuriously appointed bungalow where George and Laura Bush had once stayed. It was decorated in a very romantic fashion with flowered wall paper, a huge king size bed covered with pillows, a fireplace, Jacuzzi tub, steam shower, bidet, small kitchen/living room area and a private backyard complete with waterfall. It is the favorite place of many honeymooners. Later, I met my mother, who had driven down from Bend, Oregon, and we had lunch at the Bella Union Saloon, where we marveled at the ancient wisteria that covered the outdoor patio. Afterwards we visited many of the charming shops in Jacksonville before getting ready for dinner in Medford at our cousin’s house. Since the temperature this week is hovering in the low 100’s – part of the reason this region produces such huge red wines – we spent an hour relaxing in the pool before enjoying a big dinner of Oregon tri-tip. They served a 2003 Red Lilly Tempranillo with the meal. We decanted it first, because it is known for its huge tannins. We were amazed at how it progressed during the course of the meal, with the tannins now velvety smooth and some secondary aromas of leather, but the fruit still fresh and vibrant. The next day we judged the white wines in the morning and gave the Best of Class Award to the 2011 Schmidt Family Albarino. It was a beautiful wine with a floral nose that jumped out of the glass, intense white peach and mineral notes on the palate, crisp acidity and a very long finish. Many people are suggesting that Southern Oregon adopt Spanish varietals as their signature grapes, and after tasting this albarino as well as many tempranillos, I can’t help but agree. That afternoon we visited three wineries in the Rogue and Applegate Valleys. First stop was Dancin Cellars, where Dan, the owner, met us and provided a great tour of the tasting room and cellars. He has adopted a novel approach in that he has decided to focus on pinot noir and chardonnay. This is partially because his property is in a cooler location with vines planted on a shaded hillside, and also because he said tourists are constantly asking for pinot noir when they visit Oregon wineries because that is what Oregon is known for. It is his belief that Southern Oregon can still produce great pinot noir and so he showcases his wine against Willamette Valley pinot noir grapes he buys from the Dundee Hills. It is a clever strategy and clearly differentiates the more powerful “Pommard” style pinots found in Southern Oregon against the lighter and more elegant pinots of the north. Dancin’s tasting room is a showcase with a beautiful patio overlooking the valley and vineyards, and an Italian kitchen that serves wood-fire pizzas and espresso. A wonderful place to spend an afternoon. Next we took the Wine Country Tour Van to Valley View Winery in the Applegate Valley. This winery, established in 1972, is one of the oldest in Southern Oregon with some vines over 40 years in age. We sampled their Tempranillo, Merlot, Viognier and Chardonnay. All were solid with a winemaking technique focused on letting the fruit shine through with the use of native yeast and very little oak. Mark, the very enthusiastic owner, regaled us with fascinating stories of his family and described how he managed to get his wine brand into Costco. The last stop of the afternoon was Red Lily Winery which has to be located in one of the most beautiful parts of the Applegate Valley. As you enter the property you cross over a bridge spanning the clear and sparkling Applegate River. To the left you can see a sandy beach near the river with tables, chairs, and lounge chairs where people are relaxing and drinking wine while they are serenaded by a woman singing and playing the guitar (see top photo on blog). On the lawn is a large iron sculpture of a “red lily,” and as you enter the tasteful tasting room attached to a historic barn, a large painting of their daughter, Lily, graces the wall. The “red” theme is carried throughout the property and provides memorable branding for the consumer – especially with the wine label which is a stunning red lily against a black background. Rachel, the winemaker, provided a tour of the sparkling new winemaking facility located a short distance from the tasting room. She allowed us to taste her 2007 Red Lilly Reserve Tempranillo which she crafts in the same fashion as a Gran Reserva Rioja – aging two years in 100% new French oak and 3 years in bottle before release. It was a deep black red in color, with a spicy nose, and layers of dark complex fruit wrapped around huge chalky tannins with a very long finish. Quite the masterpiece and a good example of the powerful tempranillos made in this part of Oregon. After the tour, Rachel gave us a glass of wine to take to the sandy beach and listen to the music. She also introduced us to her daughter Lily, age 11, who was wandering around the property meeting visitors. We tasted several more wines in the tasting room before we left, including a beautiful late harvest gewurtraminer. I need to mention that on a previous trip to Southern Oregon wine country, I spent a very delightful afternoon tasting multiple wines at both Troon Vineyards in Applegate Valley and RoxyAnn Winery in the Rogue Valley. I ended up buying a bottle of tempranillo at both places! That evening, Mom and I dined in the elegant Jacksonville Restaurant with its red lamp shades and piano player. Jerry, the owner, greeted us and helped with the wine selection. I ordered the duck, which was grilled with blueberries. Since I wanted to pair it with a pinot noir, Jerry recommended the 2009 Del Rio Vineyards Pinot Noir which was a bigger, higher alcohol pinot but with a silky body and softer tannins. The next day we tasted 108 Southern Oregon red wines as part of the judging process. It was here that I encountered the massive Malbecs that were very impressive in their depth, concentration, complexity, and huge grippy tannins. These were the first US Malbecs I’ve encountered that can compare with some of the beautiful Argentinian reserve malbecs. Other impressive reds included the cabernet francs, syrahs, and Bordeaux blends. Again, all had the tell-tale tannins, a signature of the terroir, but also, partially the current winemaking style in Southern Oregon. Interestingly the merlots and cabernets on their own were not as distinguished as the blends. That evening, after a long soak in the Jacuzzi tub in my room, we had a celebration dinner at Bistro 38 in Medford. More than 30 people attended, including most of the winemakers and owners who entered their wines in the competition. The winning gold and silver medal wines were announced, as well as the Best of Class. It was enjoyable to meet many of the people who made the beautiful wines, but especially Mr. Schmidt, the owner and winemaker who crafted the Best of Class Red Wine – 2009 Schmidt Family Tempranillo. Ironically, he was also the artist behind the Albarino which was the Best of Class White Wine. 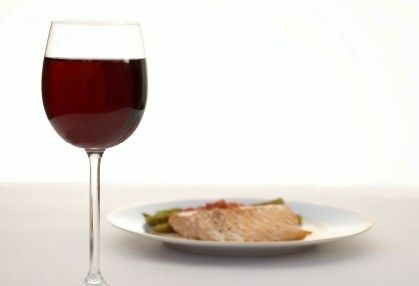 I had grilled Oregon salmon and paired it with three of the cabernet francs, including the top gold medal winner, 2008 Foris Cabernet Franc Siskiyou Terrace. Normally I would have had pinot noir, but the Southern Oregon cab francs were a perfect match with the very fresh and fleshy salmon. One of the other tasty cab francs was the 2008 Spangler Vineyard Cabernet Franc, which I enjoyed with the owner, Mr. Patrick Spangler, who happened to be seated next to me at the dinner. Another surprising food and wine match was the Rhubbard Crumble dessert topped with Buttermilk Ice cream paired with the silver medal 2011 Serra Vineyards Rose of Pinot Noir. The crisp acid of the rose was a perfect foil with the semi-sweet rhubbard. However, when we experimented with a grenach based rose, it didn’t work nearly as well. Now, flying home after three delightful days in Southern Oregon, I know I will return again – not just because I have many family members in Oregon, but to continue to taste and watch the evolution of this unique wine region that is quite different from the rest of Oregon.